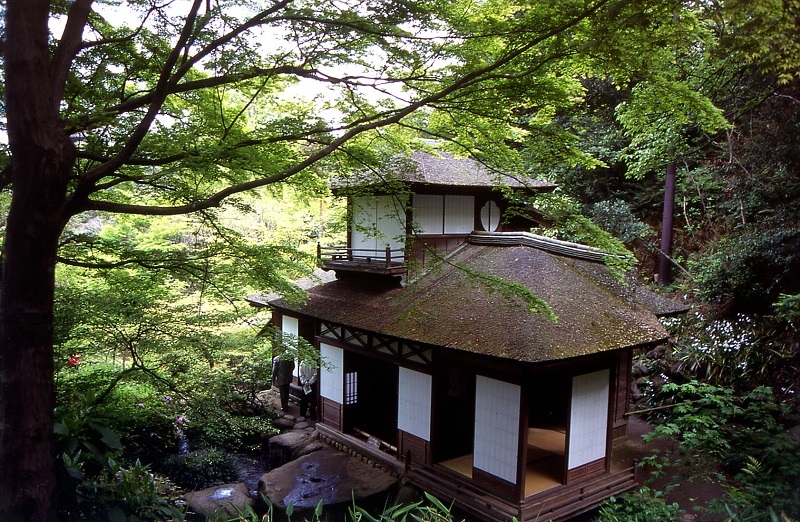 Five Reasons to Visit Yokohama this Summer! Planning a holiday? 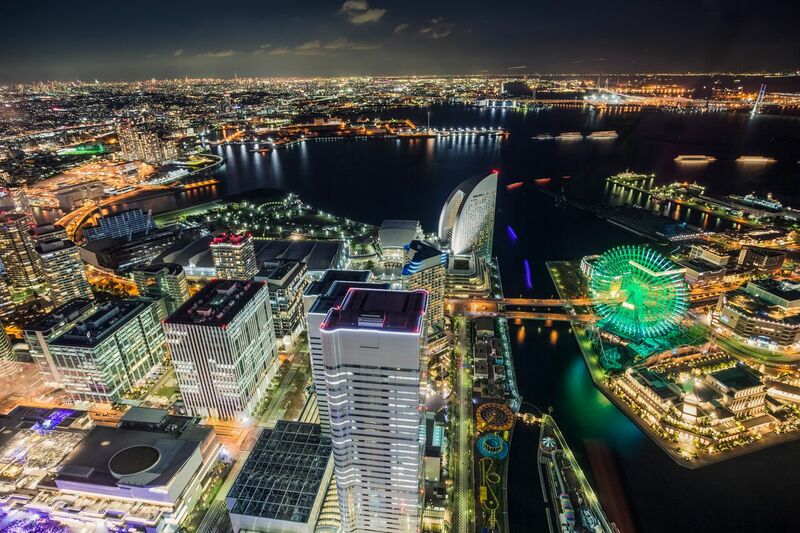 Here are the reasons why you should put Yokohama on your travel itinerary for 2018! 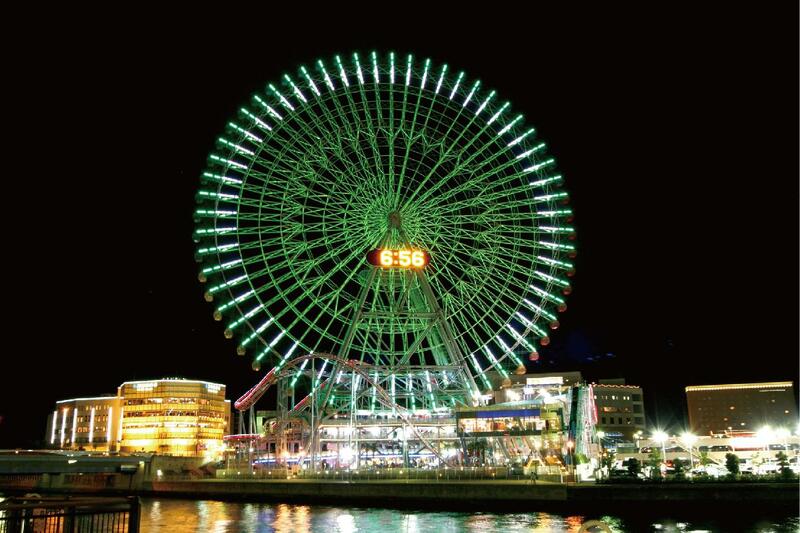 Why not experience Yokohama like a local? 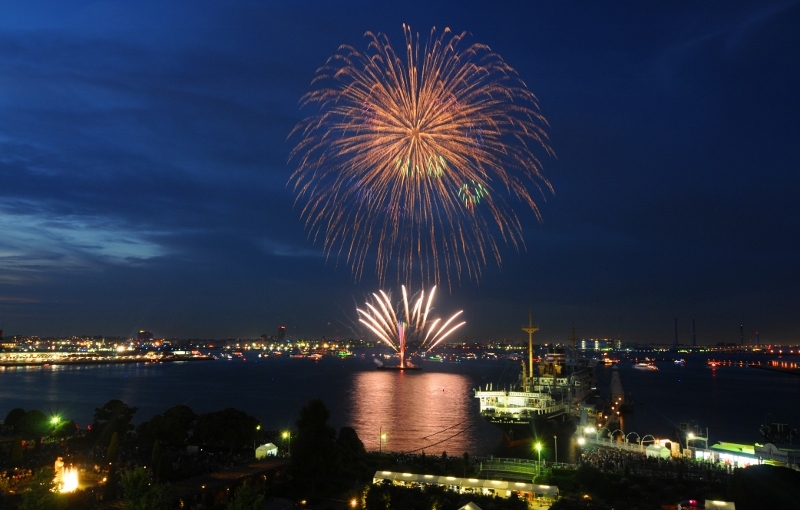 The fireworks and festivals taking place in Yokohama features a whole different experience. In July and August, beautiful fireworks sparkle in the night skies over the areas such as the downtown bay area, the beaches of Kanazawa, and the river bank of Tsurumi. We recommend that you try the traditional "yukata (summer kimono)" to participate in the summer festivals lined up with many food stands. 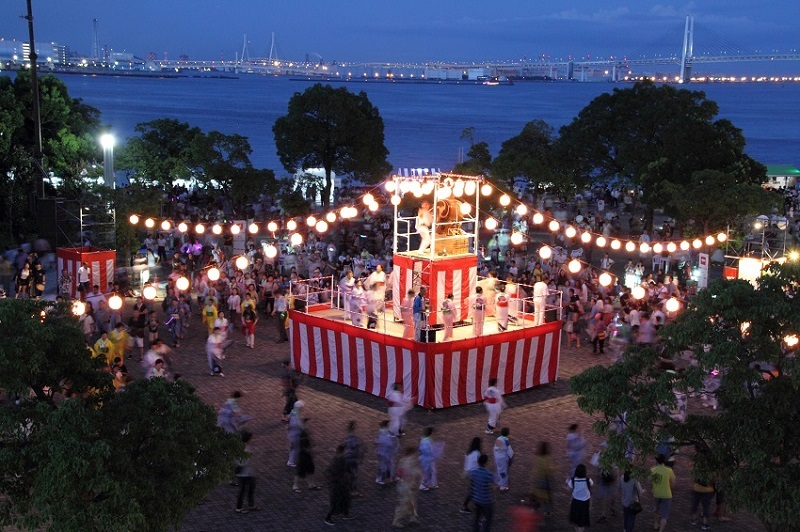 If you dance bon-odori (traditional summer dance) to the call and song with the locals circling the yagura (raised platform), you are sure to collect some unforgettable summer memories. To beat the heat in hot summer season, Japanese have a tradition to go to the beer gardens with fresh air and ice-cold beers! The outdoor terrace and rooftop beer gardens open only during the summer season. 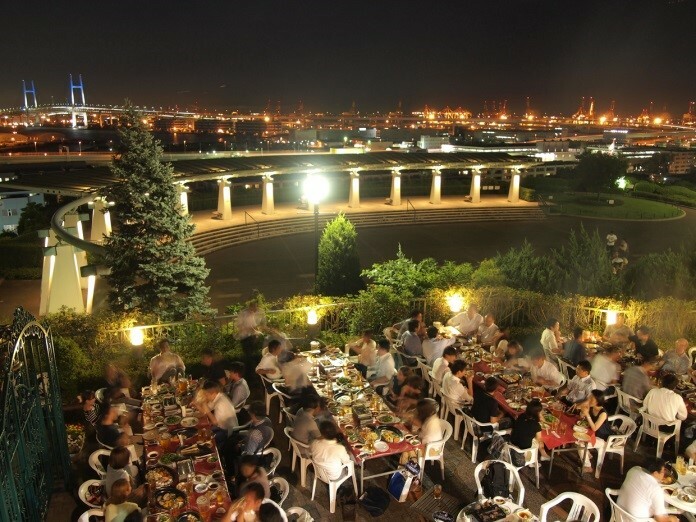 Enjoy the "beer gardens" with the beautiful harbor night view over port of Yokohama! Fun for kids and adults alike! This summer, Yokohama is hot with experience-based events: "Pikachu Outbreak!" with the world's favorite Japanese game character "Pikachu" jacking the whole Minato Mirai 21 area and "Tomica Expo," presented by mini-car brand Tomica unique to Japan, with giant dioramas and an assembly factory set up in the venue! 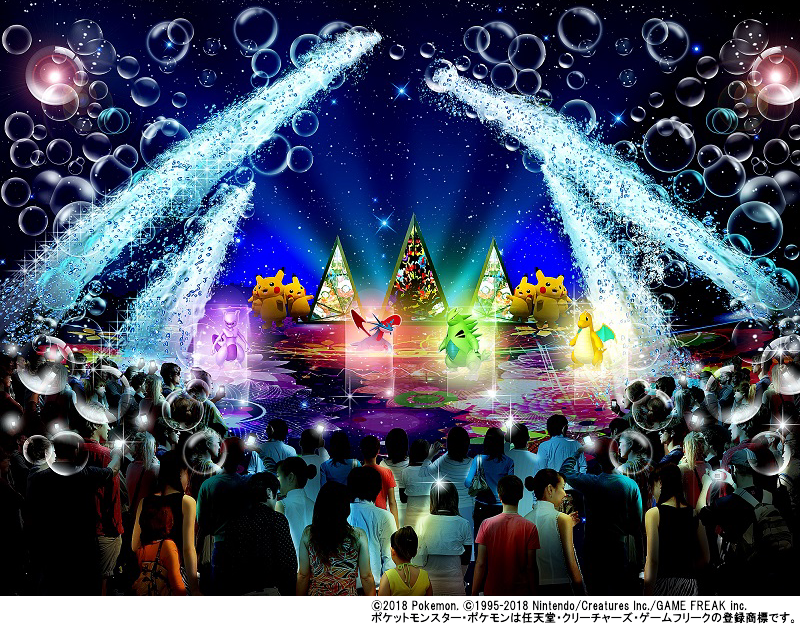 The other recommended summer experiences include; coming into contact with sea animals at "Yokohama Hakkeijima Sea Paradise,” going on a night safari at "Yokohama Zoorasia,” capturing the dazzling display of lights on one of the world's largest Ferris wheels at “Yokohama Cosmo World,” enjoying the world of nature and animals through all five senses at “Orbi Yokohama,” learn about the history of instant noodles and do-it-yourself experience at “CUPNOODLES MUSEUM” and more! 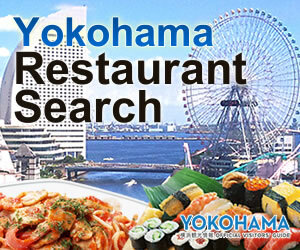 Yokohama is the place where jazz was first introduced to Japan. Even today, there are small jazz cafés and live music clubs, stylish hostess bars, and various other jazz scenes in the city where history still remains strong. In this city of jazz, outdoor jazz festivals are popular events during the summer and fall months. In "Yokohama Jazz Promenade," the largest jazz festival in Japan, not only jazz artists who represent Japan but also an artists from abroad will come to Yokohama to appear on stage! 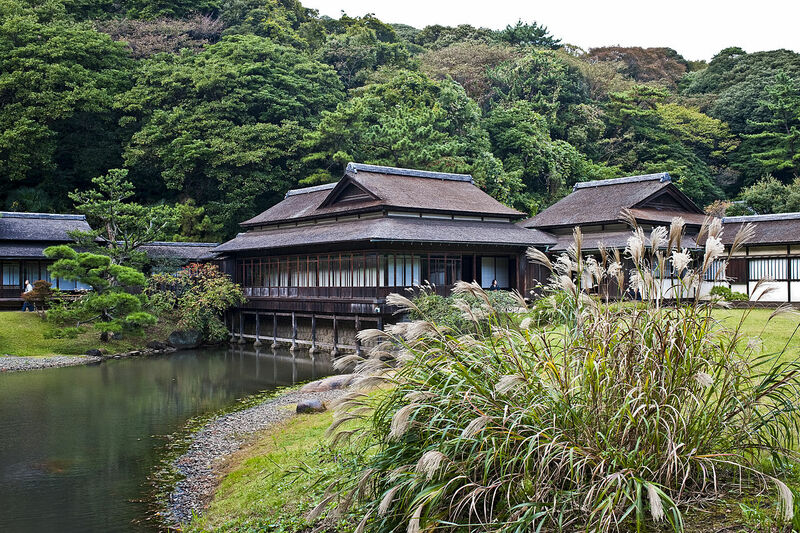 Learn about Japan's love for nature and delve into the spiritual side of Japan by participating in the tea ceremony at one of the city’s traditional gardens, “Sankeien.” Try your hand at Zen meditation at “Sojiji Temple” to explore the tranquility around you. Dress up in a traditional summer kimono, yukata, at “Yokohama Haikara Kimono Kan” and be transported to a bygone era as you explore the city by rickshaw.